New cable routing to facilitate assembly and maintenance. New 100% carbon bottom bracket for more rigidity. New ADH2 handlebar with integrated QUICK RELEASE. This historic choice, which makes LOOK one of the few sport composite pioneers, is justified by the inherent characteristics of different carbon fiber. The most important being its strong correlation between its stretching resistance and stiffness for very little weight. The excellent performance of carbon epoxy composites to aging equally contributes to its choice as the ideal material for the fabrication of bicycle frames and forks. 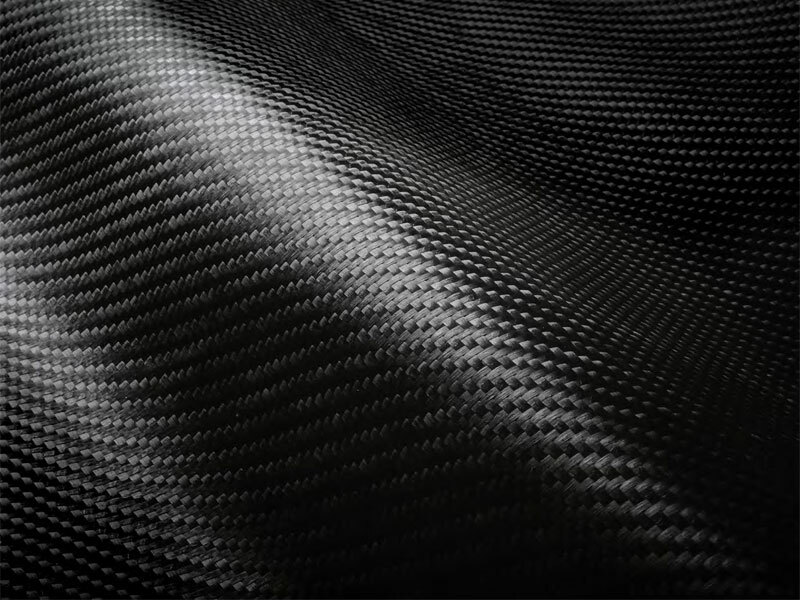 Moreover, carbon fibers have a different behaviors based on their orientation. One defines carbon composition (fiber type, orientation and quantity) for each layer in a very precise manner according to how the product will be used. For over 30 years, LOOK has developed a unique expertise and a vast experience of combining different types of fibers to achieve specific desired properties. We know how to vary the parameters of carbon composition to give a product a desired behavior. The impregnated carbon sheets developed in France, according to LOOK's own experience, have characteristics and an application close to those of aeronautics, aerospace or automotive sports. 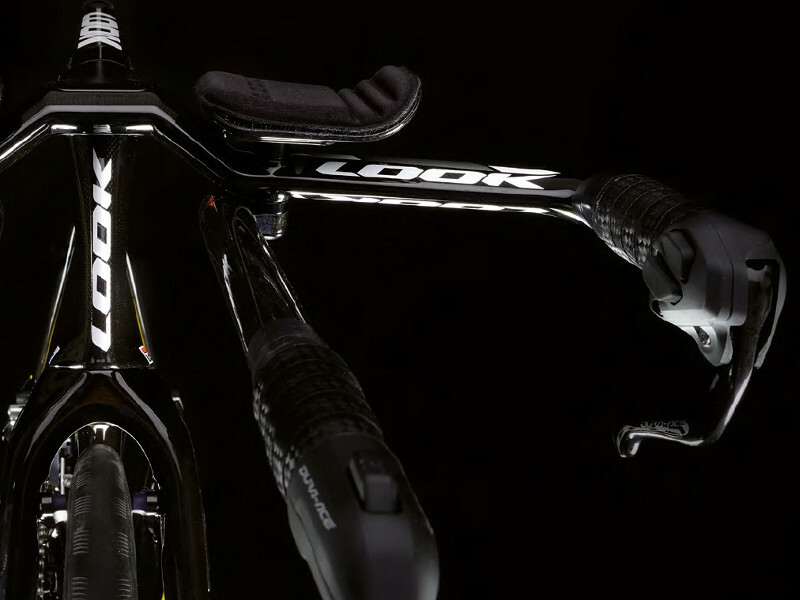 For 25 years, LOOK has integrated aerodynamics into its lines of development and has always been on the cutting edge of this subject with track, road, time trial and triathlon bicycles. Our engineers have access to all modern technologies that assist in the development of extremely aerodynamic products: CFD (digital analysis of water flow). First step, the wind tunnel, initially with a 1 size-1 scale prototype followed by the finished product, followed by the analysis of the incidence angles of the air on the cyclist in actual conditions, and then real-time performance tests in the field with analytical tools onboard. It is with the help of all of these tools, combined with LOOK’s aerodynamic testing experience and accumulated carbon know-how, that the 796 Monoblade came to life. This project was a complete reexamination of the concepts closely linked to the brand, such as the offset fork, and was necessary to once again move to the aerodynamic forefront. 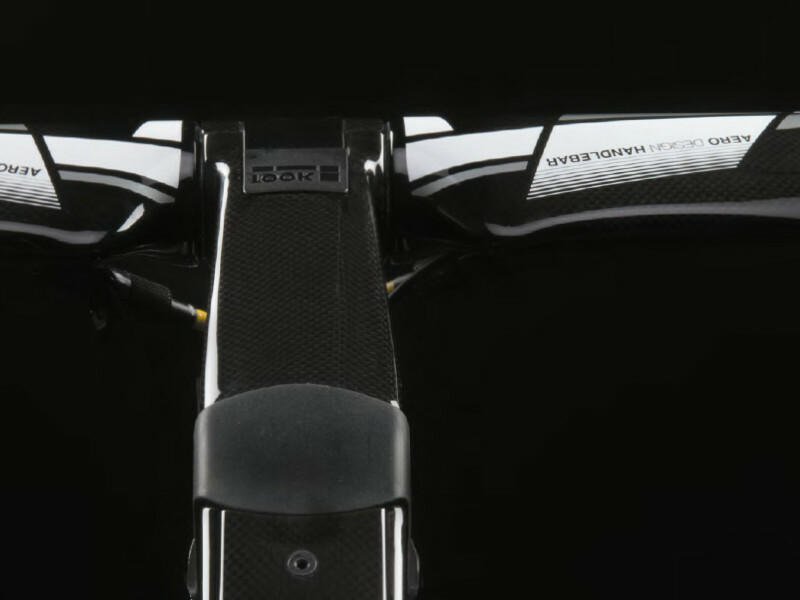 The 795 boasts fully integrated carbon AEROSTEM. This stem is made of carbon, it is very light and above all it boasts aerodynamic properties since the traditional cap is replaced by a clamp. Advantages: the clamp screws are “concealed” behind the handlebar and the clamp is very thin. 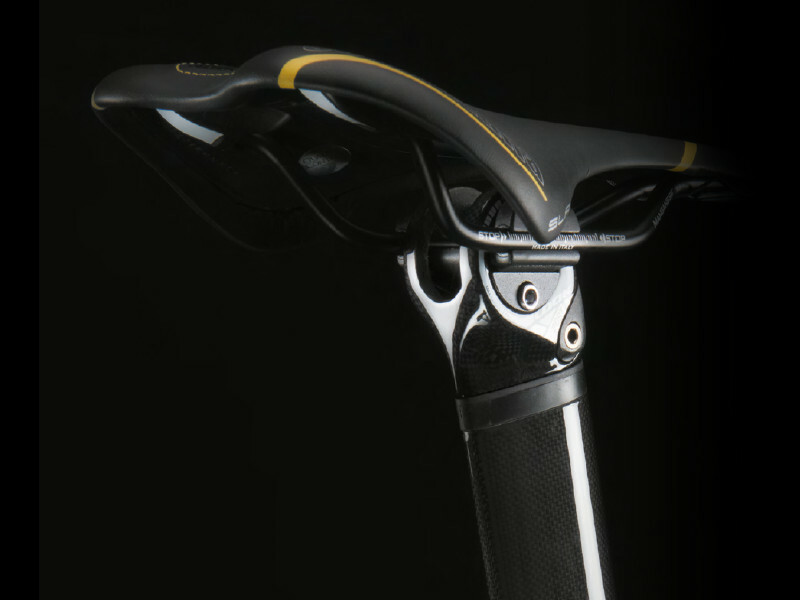 This feature, combined with a more fluid design, endow this stem with a better drag coefficient, hence its name: AEROSTEM. Combined with the 795, it represents the best possible integration. In actual fact the adjustment range remains very wide: from 17? to -13? which equates to 57 mm of adjustment for a length of 110 mm without hindering the integration. This new seatpost has been developed by retaining all the benefits of the first version: vibration absorbed through elastomers, anti-rotation, adjustable. Moreover it is more aerodynamic, 29 % lighter ( just 139 g ! ) and easier to adjust thanks to an all-new fixing system : all it needs is ? a turn to lock or release it. Furthermore it is compatible with Monlink type saddles and standard saddles.